souls, and, often, through others. "Angels are the lights burned in the Light which has no beginning"
" Light without beginning " it is our God. And every angel, and so a guardian angel, is the spiritual light, celestial being who is constantly watching the face of God enjoying the presence of God. And it's not just a godly thinking about angels, but serious doctrine that is based on the reputation of the Holy Scriptures. Jesus when he speaks about Guidance on sin he says:10“See that you do not despise one of these little ones. For I tell you that their angels in heaven always see the face of my Father in heaven. 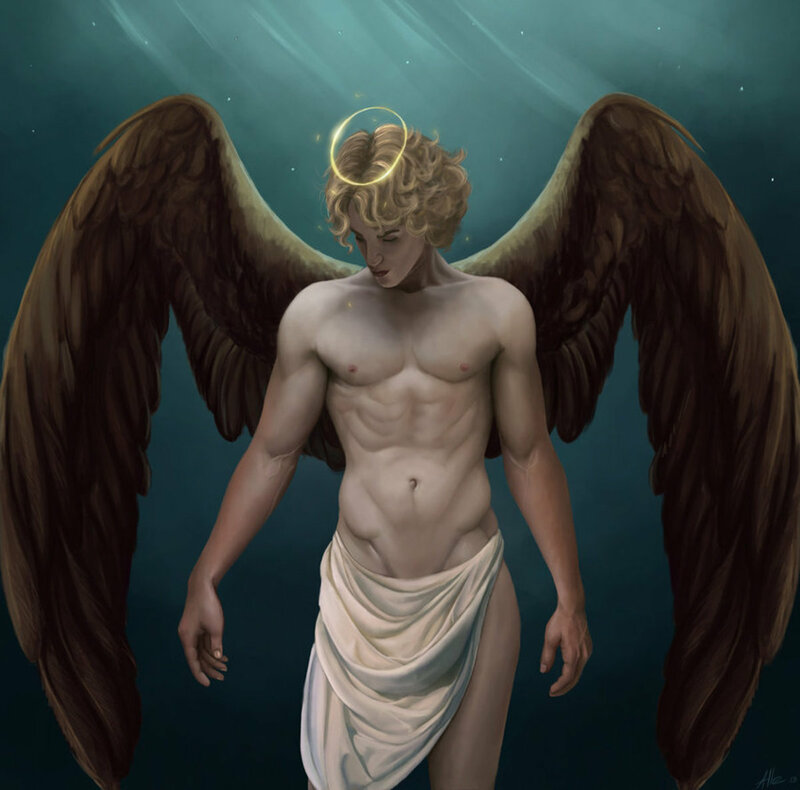 The Angels were the first of God's creative acts,endowed with the power of the victorious against all evil in the world, full of unique love for us humans. They can protect us, guide us, protect us from every evil. 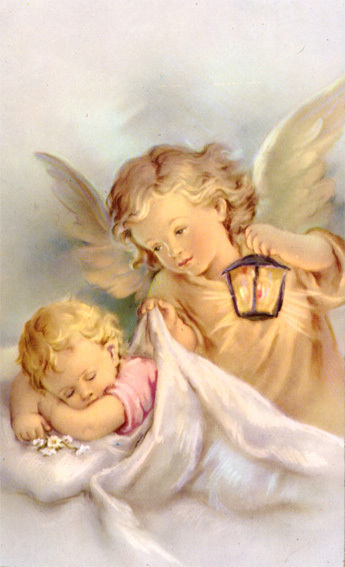 Our guardian angel can be our very loyal lifelong friend. It proved so many examples from the lives of saints Christians. And its all up to us whether we will accept this gift, as it provides the sky or not. Until we believe in guardian angel, so we trust in him ? so that you will not strike your foot against a stone . 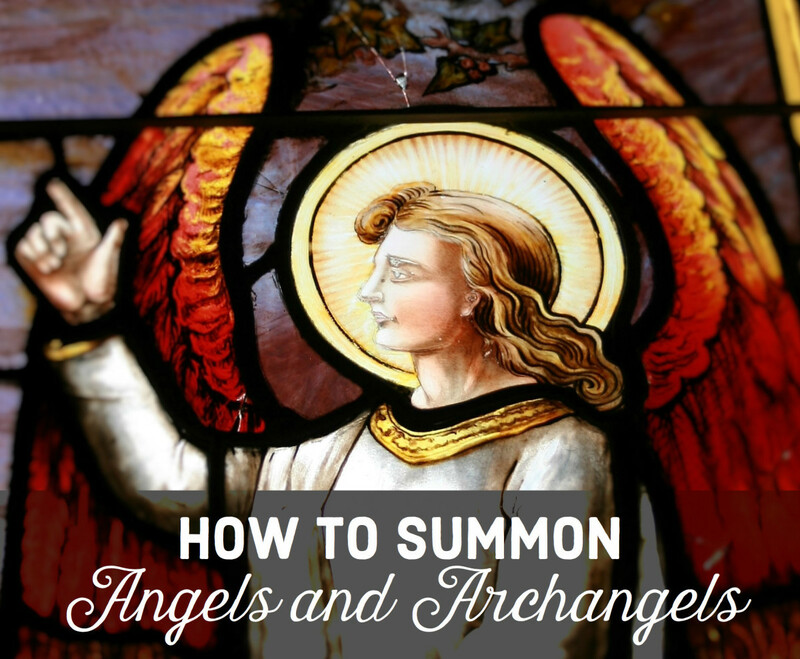 God does not force us to believe in guardian angels.He respects our free will. We can believe in him, to call him or not. Good Christian joyfully and gratefully accepts all of God 's gifts, including the gift of a guardian angel . Pope Pius IX. gladly and often told stories about the experiences he had as a boy, and that proves the miraculous help of his guardian angel. He was in the Father's House chapel as a young boy where every day he had a duty to serve at mass.one day while he was doing his severance as usual he felt in his heart an unusual anxiety and fear. He did not know why that is.He even felt his heart pounding in his chest vigorously. Therefore, he involuntarily turned his look at the other side of the altar, just like as he was searching for someone 's help. There he saw a beautiful young man who called him. Confused by this vision, he did not dare to follow him. But that bright opportunity was calling him an even stronger and more pronounced. The boy then jumped up and ran to the other side . At the same time the heavy religious statues fell from the altar precisely at the place where the small boy just kneeling. The boy, later a priest, bishop and pope, often told stories about the unforgettable experience of his childhood, praising it as the protection and guidance of his guardian angel. You, who is constantly looking at the face of the heavenly Father and His secret - you are my companion since childhood, my protector and leader in the search for the eternal God. Jesus, you have revealed to us that secret. 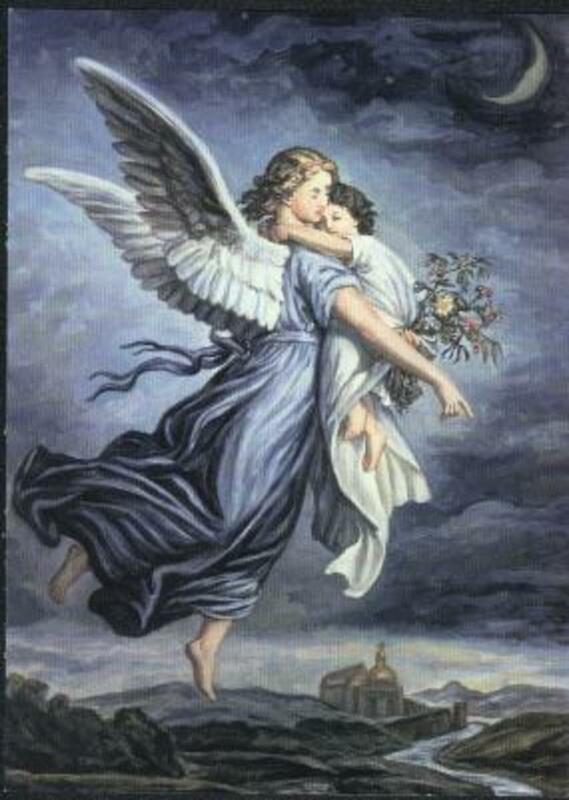 From my heart I thank you for this great gift You, my angel, whom I have never seen but whose presence pleases me, let me close my friendship with you! Thank you for staying faithful to God and did not follow Lucifer and his followers. I promise to be loyal to you and listen to you in the name of our Lord. Please warn me if I insulted God, and warn me if I am in danger. Do not be just my protector, be my friend! Help me to preserve my baptismal covenant with God! Preserve me a clean heart that one day I may be worthy to watch the face of God. When you see the numbers “444”, ”441”, ”414” on the clock it is "a sign of the power of God's love." I have had more than a decade’s worth of wonderful experiences with 444’s 414’s and 441’s. I can not explain this powerful set of numbers but I think it is something special. I don’t know whom to confide my experience because they might think I'm crazy. Throughout my whole life, these weird things are happening to me. Sometimes it makes me scared that I can not turn off the light. I'm still afraid of the dark. 7 days in a row, I wake up at that time. 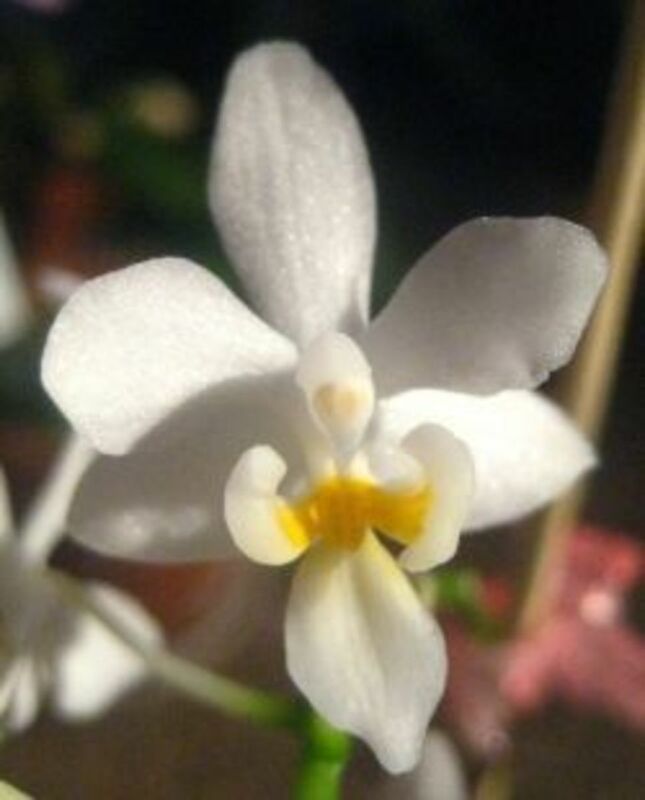 (04:44 in first two days, 04:14 in another three days and 04:41 in the last two days). Some will say it's in my subconscious. It might be but I don’t think so. Believe me when I woke up from a dream I already knew what time is it.In the beginning, I dreamed I am flying across land and it was great. (I can not describe this feeling but if you've experienced it you will know what I'm talking about. 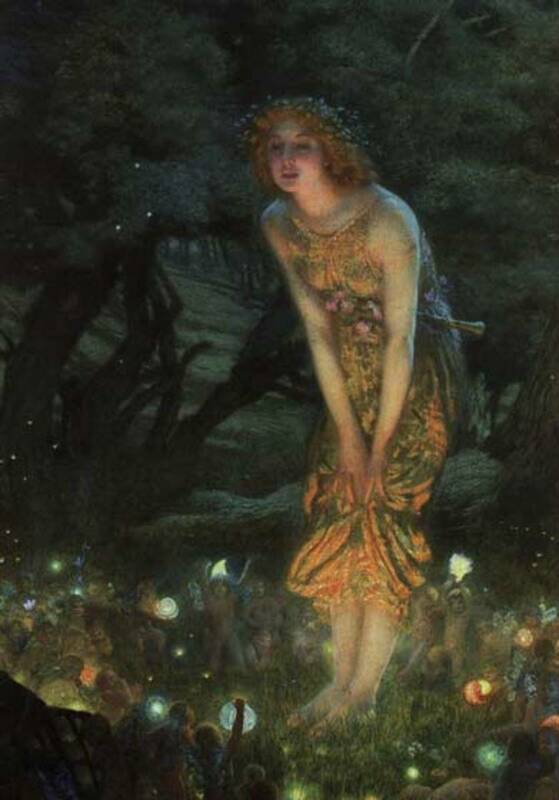 People have admired me and asked me how I do that(that was all in my dream). I told them that it was all in my mind. I told them that they need to have faith to be able to do that.And suddenly I woke up looked at my watch and guess what:clock was at 04:44. In another three days I was dreaming about some weird things(I can not exactly remember what I dreamed but it was weird). I was afraid to go to sleep so I turned on the songs on the phone and listened to them until dawn. In the last two days I dreamed very very weird thing. (I'll tell you just the end)In my dream came my aunt. We were all together in one classroom in a school. Suddenly they all fled out except my aunt and me.I did not understand why.Everything was fine. I remember I was telling jokes to my aunt and suddenly I run away(I can not remember why). I was terrified. Then, I immediately returned to that class and saw my aunt.She was like a devil. I came closer and began to pray over her. I knew it was the only way to defeat this force. I prayed in Latin. I know that this prayer is used to remove the demons from the soul(Exorcism). Exorcism (from Greek ἐξορκισμός, exorkismos - binding by oath) is the practice of evicting demons or other spiritual entities from a person or an area they are believed to have possessed. I don’t know what do I have with all this. I do not know why I'm dreaming this weird things. I think that my little angel warn me. Maybe I was in some danger and he protected me. I believe in guardian angels. I looked for answers in my Bible. In book of numbers in Bible there is something: "44 These were the men counted by Moses and Aaron and the twelve leaders of Israel, each one representing his family. 45 All the Israelites twenty years old or more who were able to serve in Israel’s army were counted according to their families. 46 The total number was 603,550. "Perhaps the Lord God is preparing us for something big. Maybe he needs us in the final battle against evil. If so, my God I will answer to you: "I am ready". You made me, and I will praise thee for ever. And If I have to go into battle for you I will do that no matter what.Lord, come into my heart, in my home and make me stronger. If you suddenly find yourself waking at 4:44 a.m.,4:41 or 4:14 consider yourself blessed. Your angels probably woke you. You may be wondering what all these different set of numbers in triplicate mean. Find the answer in your heart because anyone who seeks will find that. 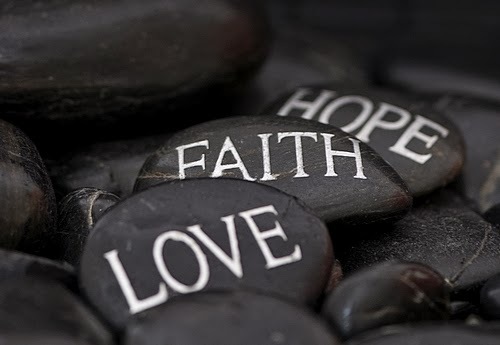 And if you look deeper in your heart you will find faith love and hope( And now these three remain: faith, hope and love. But the greatest of these is love) and that means that you have found God, our Father who is pure love. Ceth- maybe "destiny frozen in time" means your destiny will always be found in time (i.e. Numbers). I believe these numbers are the Holy Spirit, saints and/or guardian angels guiding us. But ask them what it means, they'll answer you. Thanks for the post Anita. I've recently come back to the Catholic Church but have received communications this way for many years. At times I'm uncertain of what the Catholic Church would say about the source but these Angels/holy spirit haven't failed me thus far. I've been guided to quit jobs, take jobs, write a book and so far, by following this guidance, I've discovered my calling, met my husband and created something that can help others. I can't help but think that whomever is behind these numbers has nothing but good intentions. However, I did save Michael R's prayer just in case other things can play tricks too. Thx Michael! JJ. Will pray for you. I need help with my Angel numbers. A little over 3 months ago a friend called me and said she needed a ride. When I asked what time to pick her up she replied, 2:22. I thought that was weird but none the less I was there on time and she was ready before that actual time. Also, this same night a new guy has come into my life. He's been here every since the night she called and I am constantly seeing these numbers on my phone. 11:11, 1:11, 2:22, 3:33, 4:44 and 5:55. I see the 11:11, 1:11 and 2:22 more often than the others and even started screen shooting when I see them. Now, let me be clear that I am not always waiting on this time. It just happens that I have my phone at those times. It could be because of an incoming call, text message, or some other notification but none the less I am seeing these. Please tell me what it means. Is it because of my friend or the new guy? What are they trying to tell me. I do find it strange that this all occurred the same night I met him and have been occurring ever since. Ok, this is so weird that so many others are sharing this experience with these numbers. I knew some others see 444, but I can't believe the 441 and 414 too! It all started for me 6 months ago. I started waking up at 4:44am 4 times in one week. This made me take note of this number. I started seeing it in addresses and phone numbers everywhere. I realized 444 was embedded in my own phone number. But this was all small stuff compared to what came next. My grandmother died recently and the last time I visited her in her apartment I glanced across the room and noticed she had a broken antique clock, with the hands frozen at 4:44!!! Then I got an email from a Vedic astrology website with the subject title "destiny frozen in time", and the time stamp on it said it arrived in my inbox at 4:44am!! Frozen time, frozen clock... wtf...?? Then came the blood moon eclipse on April 4th (4/4). I woke up at 4:44am on 4/4 during a blood moon eclipse. This eclipse triggered a fated relationship in my astrology chart. We connected through a mutual friend on Facebook. We talked on line for a month. The 444 sightings continued. Eventually I decided to move across the entire continent to be with her. And I just so happened to move there during my 444th lunar return. She rented me an apartment to stay at when I got her and the rent was $414 a month. Our relationship did not work out, but I decided to stay there. I found a room to rent at a house with the address 414. After we broke up the numbers stopped for a short period of time, but they have picked up again like crazy recently. I still feel like I don't fully understand what I am being shown. Especially with the messages about time and destiny and "destiny frozen in time"... Anyway, thanks for sharing your experiences. It can be overwhelming, but especially since many others are experiencing this too it really makes it harder for me to understand what we are seeing and why. for my Mom and after 3 days it was a joke to all, I broke away and prayed the Novena for nine days away from all and got some miraculous results. and all the numbers on my pager make sense to me now, and I must find another way my deceased wife can contact me since my pager no longer works, again thanks, I see her in my dreams twice a week, and that keeps me going. Forgive me Father for I held on to stage one of grieving for so many days, and only you could know the number of days I could stay angry. Time to move on. I do believe there is a message for us in our special numbers. It seems i see repeated numbers and have for much of my life. Both of my children were born on the 22nd of differen months. One of them is 1-22-83 the other 6-22-86. My clock "constantly" gets my attention at 1:22 or 1:23 and this is both during the daytime and also the nighttime. Also the number 11 has been significant in my life as well. My daughters number is 5. She has three children, with birthdate's of 1-5, 6-15 and 11-15. Both of her dogs birthdays are on the 5th da of different months. There are messages there and we need to try to figure out how we are to understand what are saying. I do have reoccuring dreams which have been with me my entire life. I will read more in my bible about angels. Thanks for sharing. It is nice someone else has these experiences. so best i can figure out if i add the 1+1 gets 2, which would be February. 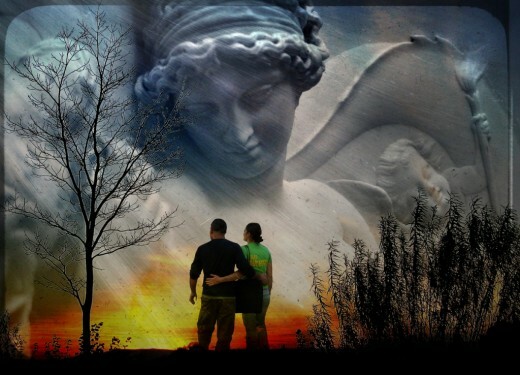 comfort in times of crisis, wish i knew who my guardian angel is, and where was my wifes guardian angel this past February? Hi, thank you for your post. I have also been seeing the same set of numbers daily for the past two years. First it began with seeing 11's', but then it turned into seeing 444, 44, 41, 14, 141, 414 everywhere. I realize that when I see these numbers they are "messages" from my angels. In one very vivid dream my angels showed me the number 41 and at the same time I felt vibrations of them saying "HI" (I don't know how to explain it, I didn't hear them saying hi, I could just feel it). Recently, I felt something tapping my shoulder to wake me up and I got up and looked at my ipad and it was exactly 4:00am. This has happened once before when I felt something tap my foot while sleeping and I looked at my phone and it was 3:25, my birthday is 3/25. I hope to continue to understand and communicate with the angels more. I feel blessed! This is great :) thanks for posting. I always see 11:11 everyday and some 4:44, 4:41 during dawn and afternoon. even 10:10, and 12:12. 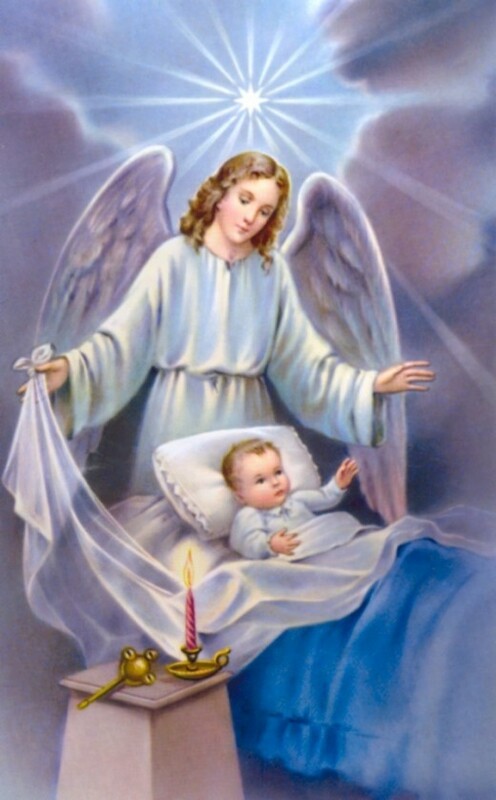 Last night, before I went to bed, I prayed really hard to jesus to send His guardian angels to protect me and my family and to help me resist temptations and fight evil. I woke up at dawn at 4:41am and I never woke up that time for 6 months. And I found this article that is closely relevant to my dream before waking up. Hi, Genaro. 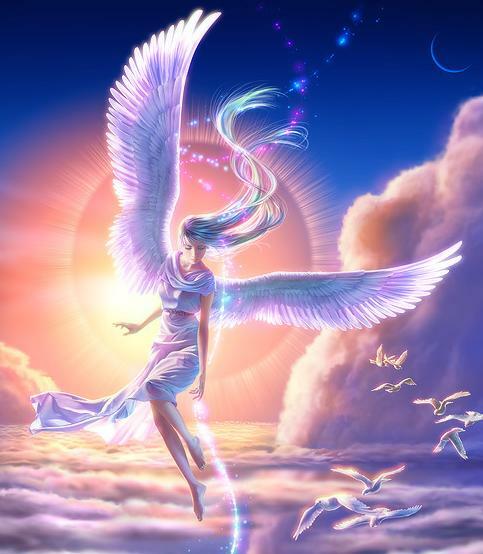 I think that guardian angels are connected with us and you must find a way to understand them. Sometimes it is difficult to understand meaning of that numbers but I am sure that if you reach deep into your heart you will find what are you looking for. 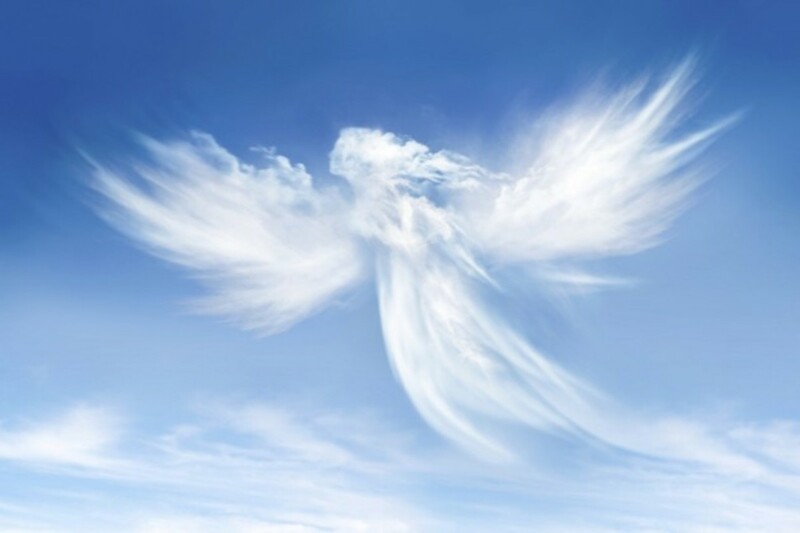 Guardian angels are always with us. When you wake up at this late hours and see those numbers, pray to your angel. If we let them to stay in our lives, they will bring God's blessings. I got back home last night from the gym. I sat on the couch to watch some tv while also exchanging texts, for some reason I suddenly got thirsty so I got up to go to the kitchen to get a glass of water. After drinking my half full of water I turned to look at the stove, the digits read 11:11. This has happened to me before and although I didn't just automatically shrugged it off, it stayed in the back of my mind and I thought to myself, how peculiar, the numbers are back. I went to sleep around 1am and I was having a dream, nothing bad or scary when all of a sudden I opened my eyes. Something in my mind told me to look at the clock, my alarm clock displayed the time, 4:44. What can this mean? Surely this can't just be coincidence. Could it really be a Guardian Angel trying to get my attention? Jesus and the Angels have me on a crusade. My Holy Spirit gift is discerning of spirits. They guided me without impeding on my free will to say this prayer. It was the best thing I ever did. “Jesus, with my free will I reject Satin, The Devil, Lucifer and all Fallen Angels, Demons and all evil spirits. 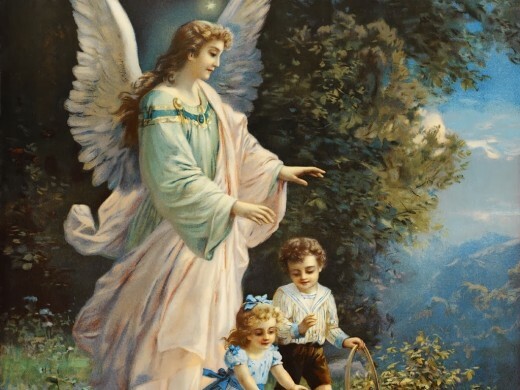 Jesus, with my free will I want you and your Angels, Holy Angels of God, the ones known as Guardian Angels to interact, intervene, guide, protect me from evil spirits and love me.” If you like it or if it helps you, please pass this prayer along. Please just give credit and praise to God and his Angels. I love your page. It is good to see a Catholic view on Angels. Other denominations don't believe Guardian Angels are in the Bible so they don't believe in them. They are. Psalms 91:11 “For he hath given his angels charge over thee; to keep thee in all thy ways. Psalms 91:12 In their hands they shall bear thee up: lest thou dash thy foot against a stone.” The Angels brought me to Jesus and he saved my life, physically healed and eternally. Just forgive and repent. Saying the Rosary is the best way to help in building up your spirit so you can forgive especially the sorrowful mysteries. That is what melted my hardened heart. They really use numbers as well. After saying the prayer you may have urges without thinking about it to look at the clock or will notice sequences of numbers instinctively. So many more things will happen that are good. We live in a supernatural world. God and his Angels won't impede on our free will but when we give our permission, things change in a good way. This is a war, with the victor being our Lord Jesus. Give the Angels a fighting chance to help in saving your soul and others by saying and sharing this prayer. God bless you all. Thanks for replyingback.lol.The past 2 mornings I woke up ar 1:11. I was just out with a friend earlier because I help him with rides,and we were in a convenient store and saw 11:11...I don't quite understand whats going on fully. Hi,My name is Ericka Hope Love and first off let me stress how much I have been seeing these same sequenced numbers.It started a year ago where I dreamt of seeing 1:11 on clock and said "make a wish". My brother(who resides in Maui and does spiritual bodywork.He can read peoples energies,heal,sometimes make accurate predictions)told me that means an energetic gateway has opened up and to start thinking positive. This was not soon after our mother almost died in 2012. So then I would see 11:11..on clocks,dreams,radio,receipts,lisence plates. My grandfather was born on 11/11. I have noticed I have become a more positive,uplifting person and it is impacting others around me. I usually see every number in a sequence,but the past month it has been 444,44,4444. Whether on a receipt,or ill pick up a pen with a company name and number which will contain 4444. I tell everyone of this and people think its nonsense.Now a lot of my friends are seeing it. The other day at work,i went in to a residents room and picked up a little statue that read "Miracles happen to those who believe" and something told me to turn it over and when I did,there was 4444 as the last four digits of a phone number. That whole day I was going around grumbling to myself that I "need a miracle", A little after seeing repeating 444's,i was in the hallway at work checking on my residents and I said to myself "I wonder if I ask for a sign that everythings going to be ok,ill get one that ill really notice" and just at that second my alarm on my phone starts going off in the office. I also see the word "angel" atleast twice a day or hear it on radio. 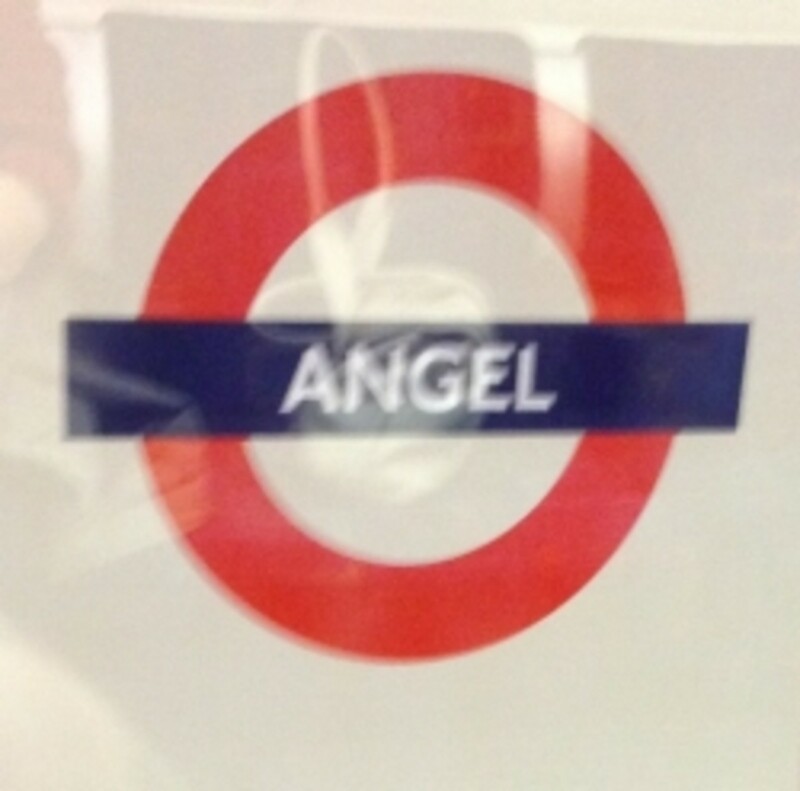 Last night I dreamt of a girl who wore a name tag with the name "iangel". I want to add I was born on Christmas in 1986,mother is jewish,father Christian. I had a strawberry birthmark under my neck and was told that was supposed to mean I was kissed by angels before conception.This is all so real.My brother had his own spiritually based business when he lived in DC called "psychic massage". From what i learned,angels can favour people and we are some of them. I also want to add,my mother wasn't supposed to survive her illness in 2012 and i highly believe after she survived ,that is when things changed. She kept seeing "911"weeks before she was taken to hospital which they say is a wake up call. I didn't have much knowledge of these same digit numbers then. I definitely feel more at peace and ease,as i have anxiety,and whenever i get anxious ill look at phone or clock and see certain numbers. They also communicate with music and images in head. Most of mine start flowing right before i drift off to sleep. Things have been falling more in place in life. Its amazing what changing your outlook on life can do. Before i close this off,i would love nothing more than to one day be recognized and maybe have my own spiritually based practice and start helping/healing more people. My house number is "441". Sorry for the long comment but i have been searching and searching for a website that has a thread about this.Thanks for posting! Thank You for this Inspiring and much needed information and pictures which are awesome to see. God Bless You. Wow... What a great hub with those beautiful pictures. Thanks for sharing. This article was an interesting one to read. The numbers may be your lucky ones. 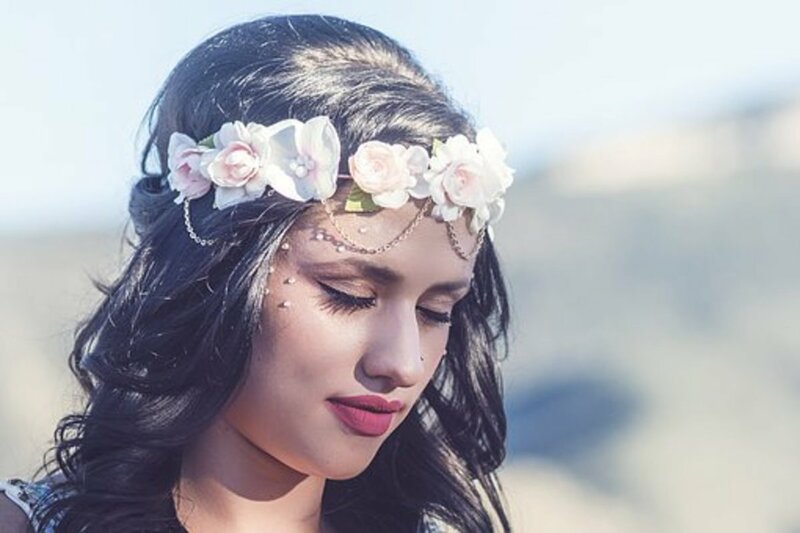 The angelic concepts are real. Thank you Anita, for sharing.